Landing in La Paz, welcome meeting with guides and transfer with the Jeep Wrangler hired from a Posada two steps from the crystal clear waters of the city's wide bay. Accommodation in double room. Introductory briefing with illustration of the itinerary and projection of photographs. Rest of the day available for relaxation or for visiting the beautiful beaches of the surroundings. Free dinner and overnight stay. After breakfast we will sail away from the beach in the immediate vicinity of the Posada, to the island of Espiritu Santo, UNESCO World Heritage Site, first explored by Jacques Cousteau in 1974 defining these waters as "The Aquarium of the World". A boat tour of the island will be performed to admire the volcanic rock formations made very visible by the strong color contrasts and by the scarcity of vegetation. We will continue the tour towards a large colony of playful seals that curiosly approach the bathers to play with them in the water, very commom event only in the waters of Baja California. After snorkeling and kayaking on the colorful coral reefs and among multicolored fish of various species, we will have fish for lunch (lunch included in the pack) in a turquoise bay. The return to Posada is scheduled in the early afternoon. Overnight. After breakfast we will go to Todos Santos, a quaint downtown on the Pacific Ocean, owned by artists and old American surfers. The day will be dedicated to Cerritos surf spot, with the sandy bottom of the wide bay and regularly waves between 120 and 250 cm. A true surf stadium for all levels. At sunset the beach feeds on surf parties, bonfires and barbecues. Overnight in cabana for 2 people, directly on the beach. Immediately in the water from the early lights of the day. The day at Cerritos is an alternation between waves, chatting with locals and visitors coming here from all over the world of surfing, hot sunshine and so much fun. Overnight. 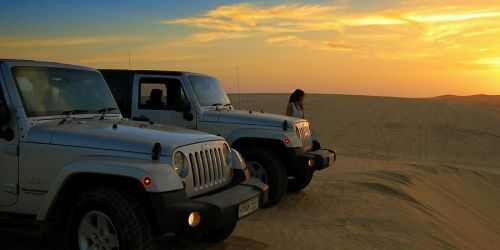 After the last session in Cerritos, head south on a Jeep towards the legendary Cabo, home of the Open World Championship that takes place in the early days of June. Accommodation in the posada and in the afternoon, guided tour to illustrate the local attractions and the best 6 surf spots on the coast between San Lucas and San Jose. Overnight at San José del Cabo. Days dedicated to the waves and the nightlife of Los Cabos. Overnight stays and car available for optional excursions in the surroundings. Departure towards the nearby Cabo del Este, a wild promontory known to the lovers of surf, fishing and trekking. The organizer will provide equipment and food for the two-day beach camping. 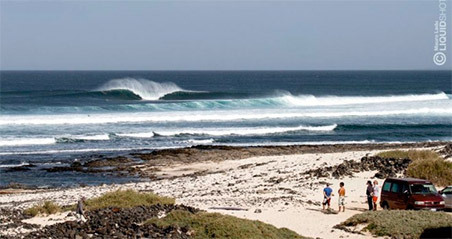 Two popular spots attract here surfers from California in April to October. Waves, warm and crystalline waters and barbecues under the stars. Overnight stay in igloo tent for two people. Return to the city through the coral reef of Cabo Pulmo, the only one in the North Pacific. We are on the Tropic of Cancer. Optional reef barrier excursion and continuation to San José through an adventurous dirt road that will take you to the slopes of mountains where some bathing ponds heated by volcanic subsoil activity at 38 ° C, are waiting for a you for relaxing bath until sunset. Continue for San José and overnight in Posada. Morning at your disposal and later during the day, transfer to the airport. The Mexican Peninsula of Baja California is about 1200 km long and consists of two distinct federal states: Baja California and Baja California Sur, where most of the natural beauty of the peninsula is concentrated. Both are accessible all year round, without the need for visa or preventive vaccinations. Comfortable domestic flights of approximately 2 hours connect the San Jose del Cabo Airport (SJD) and the La Paz Capital (LAP) to Mexico City. From here, several intercontinental flights connect Mexico to the rest of the World. The Cancer tropic crosses the peninsula: on June 21 the sun is at the zenith. The environment is desert, the climate is dry, rainfall is almost absent, sunny days are about 350 per year, temperatures vary between 22 degrees in winter and 36 degrees in summer with a strong thermal excursion after sunset, the Cortez Sea water in August reaches 31 degrees! Local currency is Mexican pesos (mxn). The official language is Spanish, but English is abundantly popular. Population is 4 million people, 84% of them are Catholic. Over 30% of its territory has not yet been explored.